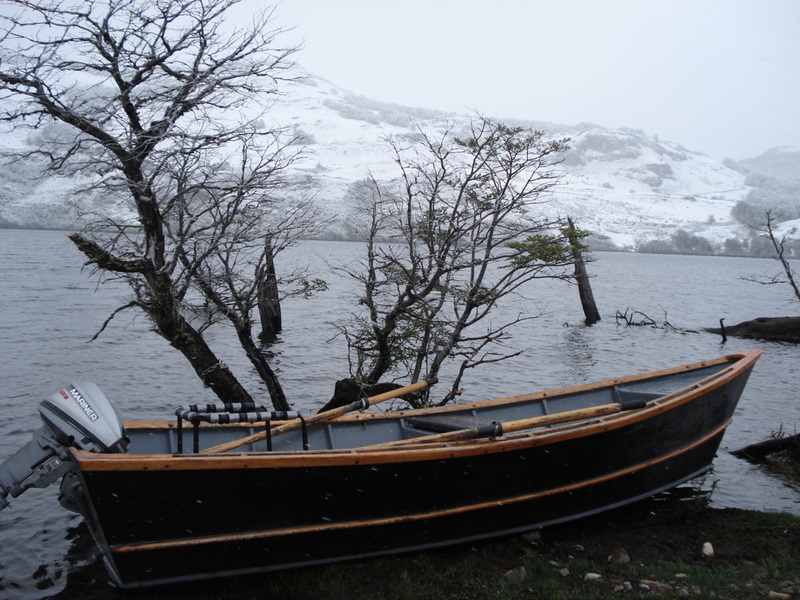 As you can see in the picture, winter still around here in Patagonia, although it's been a very mild and dry winter so far. The deficit in precipitations until the end of July was around 90% for the current year. Fortunately since the beginning of August it's been raining and snowing on a daily basis, but we are still way behind the average. I'm sure you are wondering on how this will affect the fishing for next season and to tell you the truth, I don't know yet. What I can say is that last season the waters were extremely low, but the fishing was great. but in some cases drifting rivers was not an option, because this. I think that what helped the fisheries to stay in shape was that the higher temperatures during the summer rarely reach 25ºC (77ºF), so the waters hold enough oxygen for the fish to remain active and feeding. I will be updating my blog every week, to keep you informed on how things are going down here in Patagonia. Right now it's heavily snowing, that's great!! ​A true pioneer of the fly fishing guides in Chilean Patagonia.